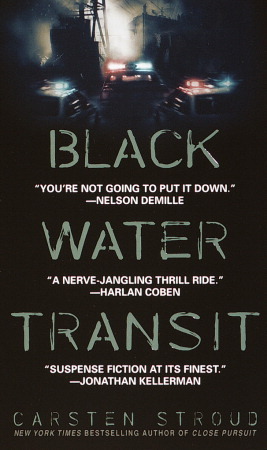 Home » Films » BLACK WATER TRANSIT sold in auction. BLACK WATER TRANSIT sold in auction. Three years after production started, BLACK WATER TRANSIT still has no release date in sight. But it did see some movement as the ownership of the troubled production recently changed hands. Last week, the thriller was purchased, at a foreclosure auction, for two million. The film was valued at $26 million. While this does not mean we will see it in a theater in the near future, it is a step forward. Hopefully one that will result in some forward motion and will bring BWT to the public in 2011. For more details, read the full article in THR. Black Water Transit tells the story of Jack Vermillion (Laurence Fishburne), a former Nam vet turned successful owner of container ship company. Jack’s son, an ex-junkie, is serving a ten year sentence for robbery and is having a tough time handling maximum security prison. When Earl Pike (Karl Urban), a former army colonel with CIA contacts, approaches him about transporting his family’s rather illegal collection of weapons out of the country, Jack sees an opportunity to make things better for his son. Meanwhile NYPD officer Casey Spandau (Aisha Tyler) is working a double homicide with Pike as the chief suspect. Her crew stumbles onto the ATF’s sting for Pike, resulting in a firefight that leaves both Feds and police dead. Jack has an ally in Spandau and he is not going down without a fight. Unfortunately, neither is Pike. The film is based on the novel by Carsten Stroud.